iBall expanded its Slide series of tablet by launching Slide 3G Q81. This tablet can be purchased for a price of Rs. 7,999. Highlight of the tablet is the latest version of android operating system and the voice calling facility. The tablet also supports multiple regional languages. Mumbai: iBall Slide 3G Q81 comes with 8 inch display and the resolution of it is 800 x 1200 pixels. The device is powered by quad core intel Atom X3 processor whose clock speed is 1 GHz. The processor is paired with 1 GB RAM and the internal storage is 8 GB. Memory can be expanded up to 64 GB via micro SD. It comes equipped with 5 megapixel primary camera with flash and there is also 2 megapixel camera at front on board. It runs on Android 5.1 Lollipop operating system. The table supports WiFI, GPS, Bluetooth and 3G. other features are accelerometer, ambient light, proximity sensors. Battery under the hood is 4000 mAh capacity. The table also supports voice calling. iBall Slide 3G Q81 tablet supports multiple languages. It supports more than 15 regional language read and write support. It supports single SIM and voice calling. There is 4000 mAh battery that may not be very powerful. 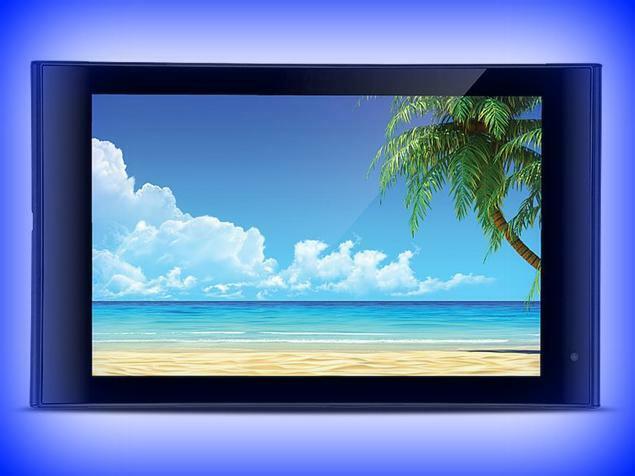 The price of the tablet is 7999 and the specifications are just right for the price it is offered. This entry was posted in Launches, Tech on January 12, 2016 by Rakesh.